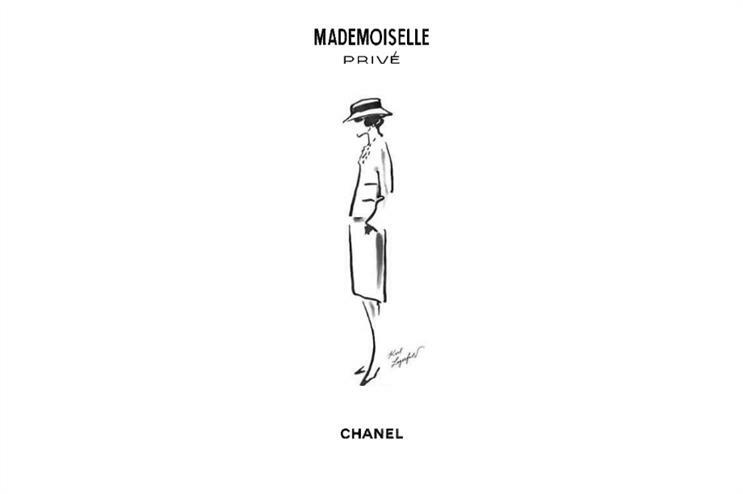 Chanel is offering visitors to its Mademoiselle Privé exhibition, which opened within London's Saatchi Gallery yesterday (13 October), the chance to take part in hands-on workshops. Budding designers are invited to sign up for a session with company Lesage to learn about embroidery, meanwhile Maison Lemarié's workshop covers the processes involved in producing feather and flower creations for luxury fashion houses. Both companies form part of Chanel’s Métiers d’art. The Chanel N°5 workshop sees participants learn about the history and composition of the iconic fragrance. The sessions also include a discussion of the art of wearing fragrance, with attendees to learn about humans’ relationship with scent. Each of the three workshops will take place four times per day, at 10am, 12pm, 2.30pm and 4.30pm, with an extra session scheduled at 6.30pm every Wednesday, until the exhbition closes on 1 November. The label has also created The Mademoiselle Privé app, enabling visitors to engage with interactive content as they make their way around the free exhibition, which spans the gallery’s three levels. Mademoiselle Privé brings to life what are said to be the fashion house’s essential elements of audacity, freedom and innovation. Those who enter the space are invited to embark on a journey through the label’s history, showcasing the work of founder Coco Chanel and current creative director, Karl Lagerfeld. Louis Vuitton is also currently hosting an exhibition in London, coined Series 3, which looks at the inspiration behind its latest collection. View our gallery here.